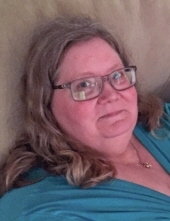 Beverly Jean Mauerman, 62, of Evansville passed away on March 2, 2019 at Mercy Hospital after a brief illness. Beverly was born on Decmber 2, 1956 in Champaign IL. to John and Peggy (Hughes) Johnston. Her family relocated to Evansville where she attended school and graduated from Evansville High School, Class of 1975, as salutatorian of her class. She attended UW- Platteville and graduated with a Bachelors Degree in Business. She married her high school sweetheart, John Mauerman, on October 6, 1979 at Magnolia Advent Christian Church in rural Evansville. They spent 47 happy years, married for 39 of them. They were blessed with two children. She was employed by General Motors Assembly Plant in Janesville, WI. and finished her career in Wentzville, MO. She retired in 2009 after 31 years of service. Beverly was an active member of the Magnolia A.C. Church where she served as the pianist for 40 years. She took great joy in her choir, especially their Christmas Cantatas. Bev served as secretary of North Central A.C. Conference. Bev and John farmed together for 35 years in the Evansville area. They shared their life together. She was a former member of the Magnolia 4-H club as a project leader and later as an active 4-H mom. She was the outstanding Girl of Rock county by the Janesville Rotary Club. Her most recent joy in life was becoming a grandma to her two granddaughters. They loved to have tea parties and bake cookies with Grammy Bev. She enjoyed reading, playing cards with her Mom and Sister, and taking random road trips with her husband. Beverly is survived by her beloved husband, John; their children, Matt of Evansville, and Katie (Nick) Doyle of Wuakesha; grandchildren Ellie and Shophie Doyle; her Mother, Peggy Johnston, of Champaign, IL. ; sister, Debbie (Steve) Freeman, of Kernersville, NC; brother-in-law, Bill Mauerman, and sister-in-law, Jeanne (Jay) Johnson, both of Janesville. Also many nieces, nephews, special friends and her special puppy Dusty Rose. She was preceded in death by her father, John Johnston; father and mother in-law, Harold and Virginia Mauerman; sisters in-law, Sally Reisem and Lucia Mauerman. Funeral services will be held at 11:00AM on Friday March 8, 2019 at Ward-Hurtley Funeral Home Evansville with Reverend Tom Moe officiating. Burial will follow in East Magnolia Cemetery followed by a luncheon at Magnolia A.C. Church. A visitation will be held from 4:00PM to 8:00PM on Thursday March 7, 2019 at Ward-Hurtley Funeral Home Evansville. A special thank you to the nurses in Special Care Unit for the compassion you showed for our loved one and for our family. Also, Pastor Tom Moe and Debby Jorgensen for your support and guidance during this difficult time. To plant a tree in memory of Beverly Jean Mauerman, please visit our Tribute Store. "Email Address" would like to share the life celebration of Beverly Jean Mauerman. Click on the "link" to go to share a favorite memory or leave a condolence message for the family.